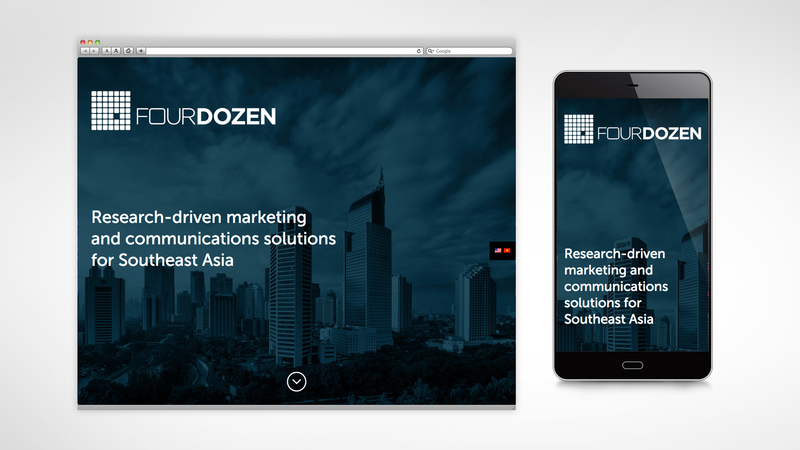 Fourdozen is a communications, digital marketing and social media marketing consulting firm focused on the Southeast Asia market. 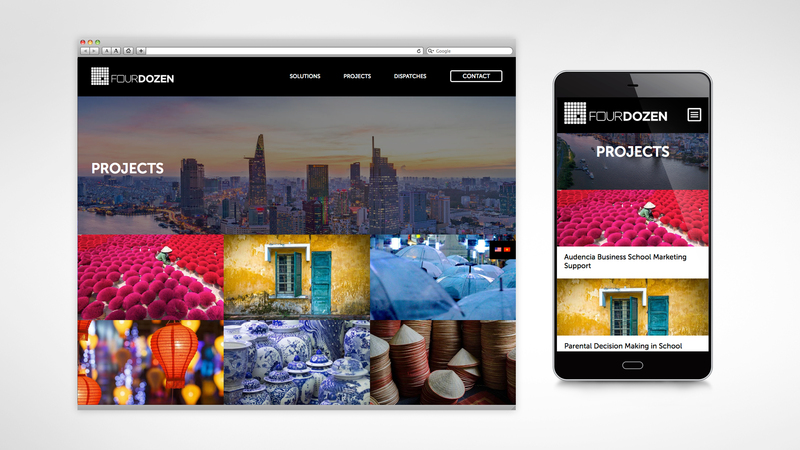 With headquarters in Hanoi, Vietnam, it is home to a team of creatives, researchers and developers providing research-driven communications and marketing solutions, from design to execution and delivery. 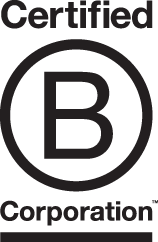 The company emphasizes a sophisticated use of the local language to tell stories that resonate with measurable results. 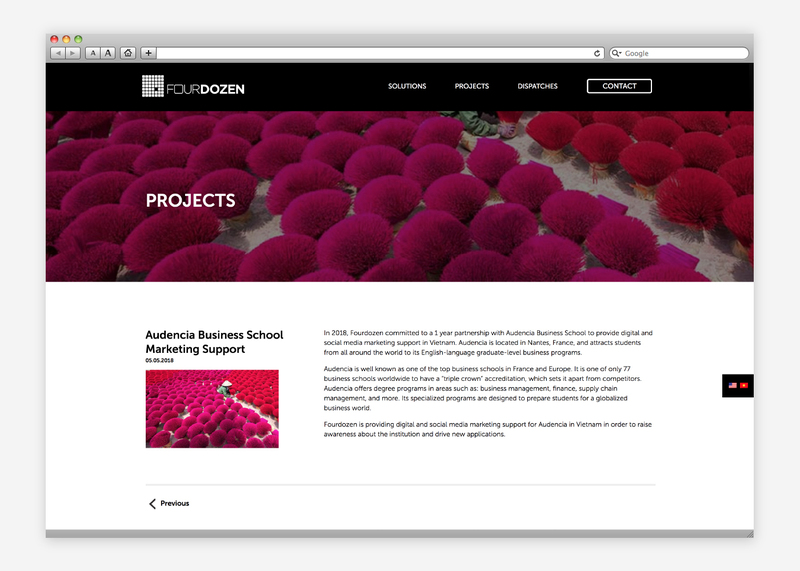 Relish provided website, UX design and programming services to Fourdozen. 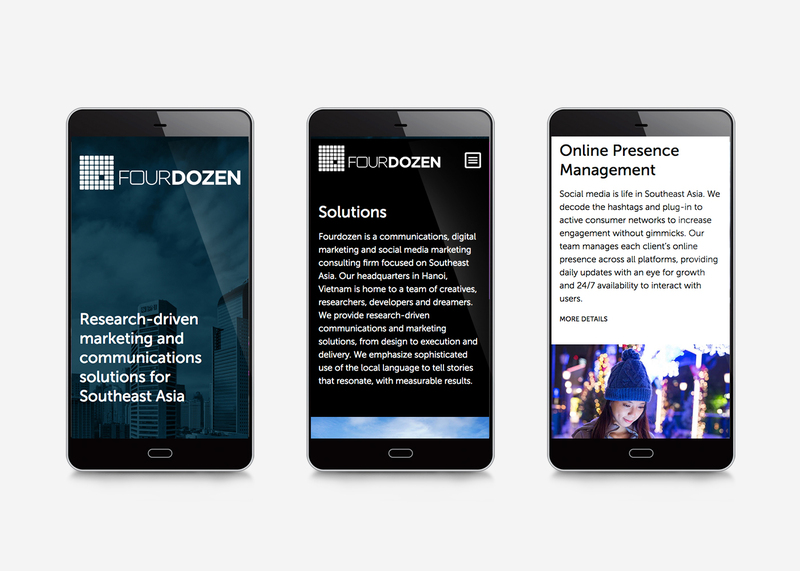 This contemporary website is focused on the company’s skill set and is reinforced by its portfolio of project work in Southeast Asia. 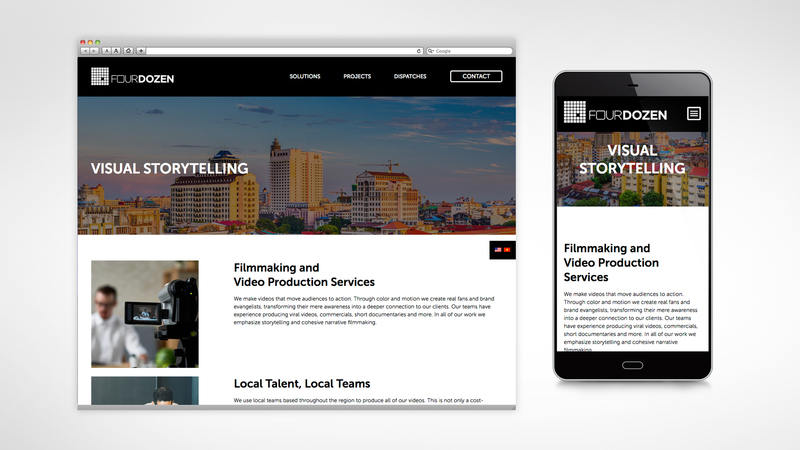 Fourdozen tells wonderful stories and Relish’s job was to ensure nothing got lost in translating those stories to an online platform.